Things You Probably Didn’t Know About New Year's Eve What's the best dental floss? Dental veneers are a popular treatment to improve the appearance of your smile. Drs. Hacker, Finnegan, Ruiz and our team want to help you understand whether this dental option is right for you. Veneers, also known as laminates, are custom-made shells that cover the front of your teeth. They can change the color, size, or length of each individual tooth. The process can require between one and three trips to our Branford, CT office to complete. This treatment is usually done for people who want to change the appearance of their smile: they can get rid of stains, gaps, or chips. 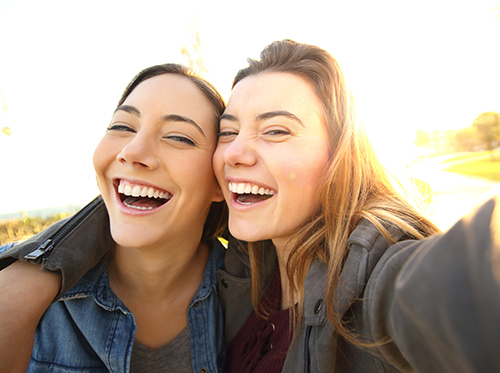 Here at Branford Dental Care, we know how getting veneers can dramatically change your smile and help improve your confidence. In order to know whether veneers are right for you, schedule an appointment at our Branford, CT office for a consultation. We can decide what you’re looking to do with your smile and if this is the best option for you.